I am so very excited about our school goals this week. We started out the week by visiting Fossil Rim down in Glen Rose which was super fun, but I am more excited about working with the kids on counting to 100. 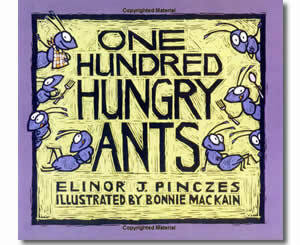 I was introduced to 100 Hungry Ants via Pinterest, and I instantly fell in love with the book and idea. Hi dee ho! It’s off to a picnic we go! 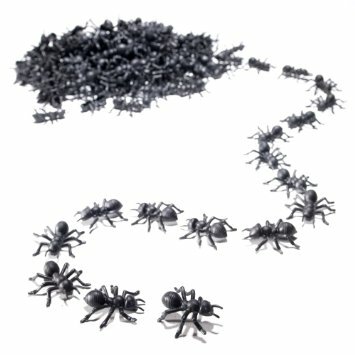 One hundred very hungry ants hurry to sample the delights of a picnic, but marching in single file seems too slow for 100 empty tummies. The smallest ant of all suggests they travel in 2 rows of 50, four rows of 25 . . . and the division begins. Sounds fun, right? So, off I went to Amazon to order the book along with plastic ants. 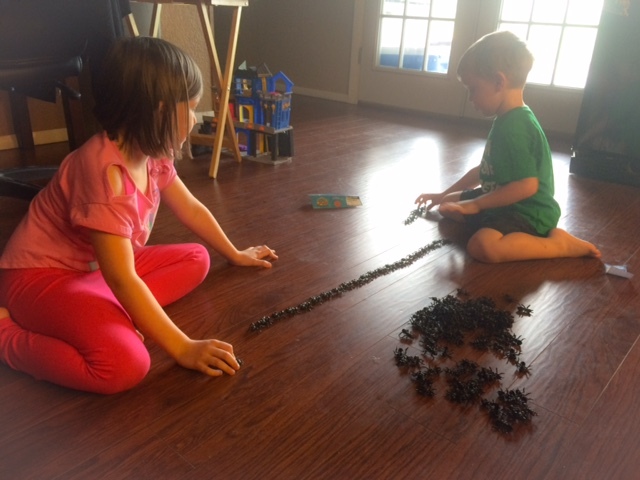 The littles will love this activity, especially Beccaboo who tends to come by her OCD tendencies honestly. I’ll update this with a pic of our ant brigades as soon as I can. Update: We did it! Beccaboo loved organizing the ants into separate lines, and was quick to pick up on the fact that she only had to move some away from her original lines and make new ones. Carebear, however, loved that in between each line-switch, the story says the ants went round in circles. He interpreted this to mean that he could scatter the aunts, much to the dismay of Beccaboo. Both kiddos loved it! We’ve read the story and acted it out several times now. $5 off $20 eBay Coupon = Great Vera Bradley Deals! Free Ship to Store – Now at Kohl’s!